Back in July, Once Wed featured the Free Wedding and a lot of people left comments asking how to recreate the fabric flower garland. So, I thought I would put together a miniature version of it for everyone. 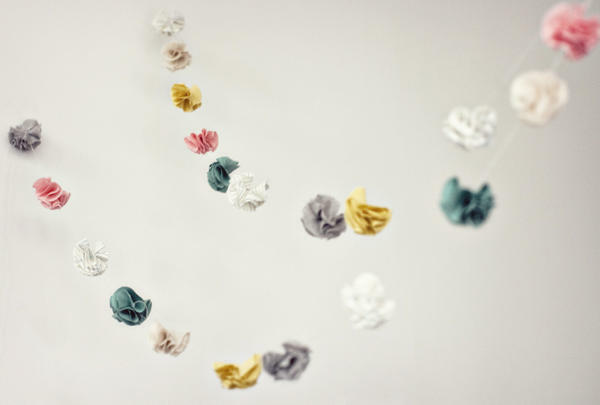 It’s easy to make and can be used in so many ways… hung from the ceiling, attached to the back of chairs, aisle “rope” or laid on the table for an added element. 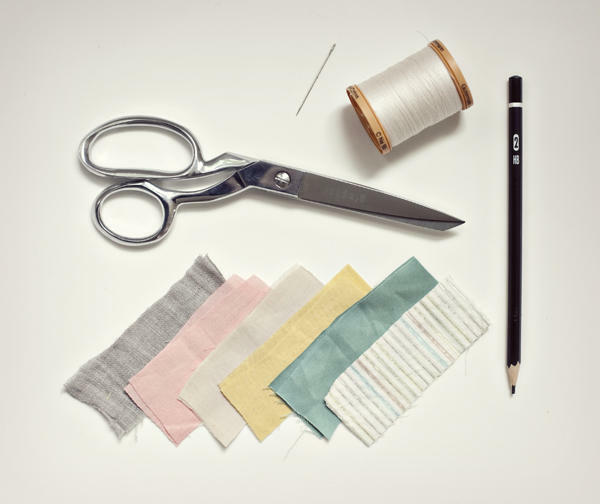 Supplies: Scissors, needle and thread, fabric, and a pencil. Step 1: Fold your fabric and use the spool of thread to trace a circle. Then cut the circles out. 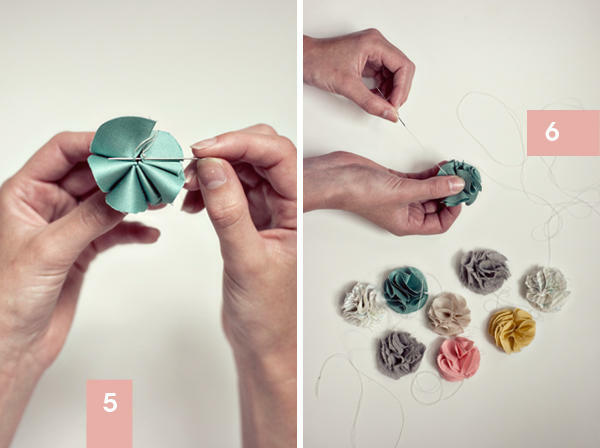 Step 2: Take one circle and fold it in half. Step 3: Take the half circle and fold it in half again. Step 4: Then take your circle and stitch through the bottom. Continue this step, adding at least 6 circles on top of the first. 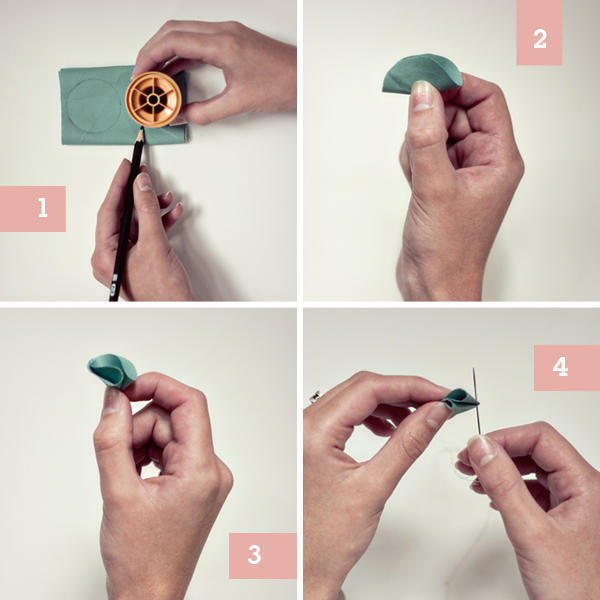 Step 5: Once you have sewn all 6 circles, connect the petals together by stitching through each one at the corners and then tying off the tread with a double knot. Step 6: Next, cut 3 yards of thread and add on the flowers one by one.